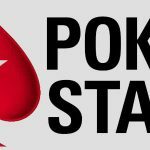 The inaugural PokerStars MicroMillions is already proving extremely popular with online poker players with the first event of the series attracting over 18,000 entrants ahead of its March 15 start. That’s an incredible number considering PokerStars – the world’s leading online poker room – only announced the introduction of this new series last week, although it is really no shock as the tournaments on offer guarantee massive payouts from minimal buy-ins. So, with a guaranteed prize pool of $25,000, no one should be surprised that event #1, which kicks off at 12:00 ET (Eastern Time Zone) next Thursday, has seen thousands of players register for the 11¢+Rebuy No-Limit Hold’em Six-Max Rebuy Madness tournament. 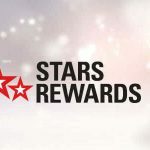 With organisers expecting the flood of entrants to continue up to the event’s start, they have decided to increase the player limit to 100,000 for the opening tournament of the PokerStars MicroMillions, as well as courting controversy by changing its format to a turbo competition with starting stacks of just 50 chips! If this is a sign of things to come, expect many more of the 100 MicroMillions events on the 11-day schedule to see increased maximum fields – and we at Poker News Report wouldn’t be shocked to see several other tournaments become turbo events, as well. A PokerStars spokesman backed the decision to change the opening event into a turbo tournament, saying that the poker room recognises that few players would want the low-stakes opener to drag into a second day’s play as the largest ever internet poker series begins in earnest. 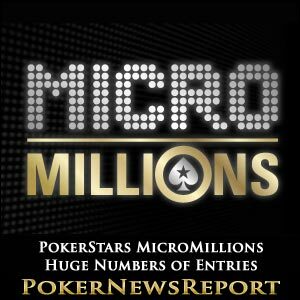 The spokesman said: “MicroMillions is a tournament series that’s ideal for every type of player, no matter how small your bankroll may be. Day 1 of the series also features six other events – and they are a $1+Rebuy No-Limit Hold’em (3x-Turbo) at 13:00 ET that guarantees $75,000, a $5.50 No-Limit Hold’em at 14:00 that also offers no less than $75,000 in prizes, a $3.30+Rebuy Pot-Limit Omaha Six-Max that guarantees $25,000 at 15:00, a $10.50 No-Limit Hold’em Turbo SuperKnockout at 16:00, a $4.40 No-Limit Hold’em Turbo at 18:00 – with both offering at least $20,000 in prizes – and a $2.20 No-Limit Hold’em at 21:00 that possesses a $10,000 prize pool. 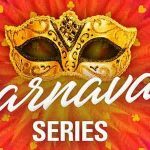 However, the biggest attraction will most likely be the final day’s $22 buy-in No-Limit Hold’em main event on Sunday, March 25, that will offer a $1 million guaranteed prize pool – of which $150,000 will go to the winner.